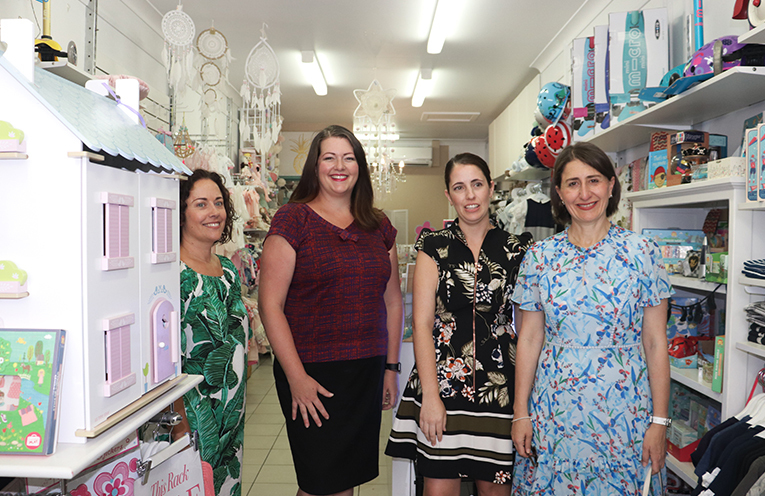 Katie Diemar, Jessica Palmer, Premier Gladys Berejiklian and Liberal Candidate in Bella Rose Boutique in Nelson Bay. Photo by Marian Sampson. IN a very relaxed walk through the Premier visited the central business district of Nelson Bay. News Of The Area was exclusively invited to participate in the walk through. The Premier visited the township on Tuesday afternoon and took time to walk into local businesses and chat with the owners. On the list of businesses in the Bay that the Premier visited were Bella Rose Boutique, OPAAT Health, and Arteke Salon Collective. The wonderful boutique nature of the shops in Nelson Bay impressed the Premier with their unique style and offerings. She also spoke of how she does her own shopping at her local shops rather than opting for home delivery. 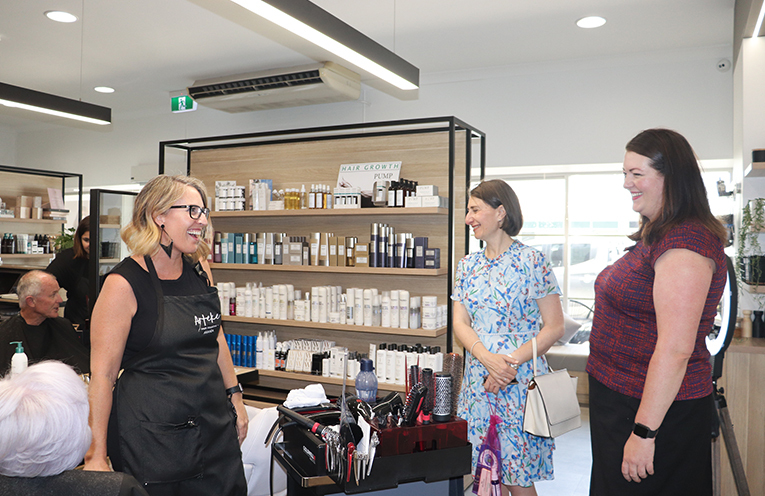 The Premier chatted with Jessica Palmer and Katie Diemar in Bella Rose Boutique and talked about the confidence that it takes to start your own business and the flexibility which owning and operating a business offers to women today. Amanda Boone of Arteke Salon Collective spoke candidly about the journey and challenges that are involved in running a business and in finding staff, particularly apprentices in her industry, she also talked about the wonderful community of business owners that are working towards better business in the township of Nelson Bay. 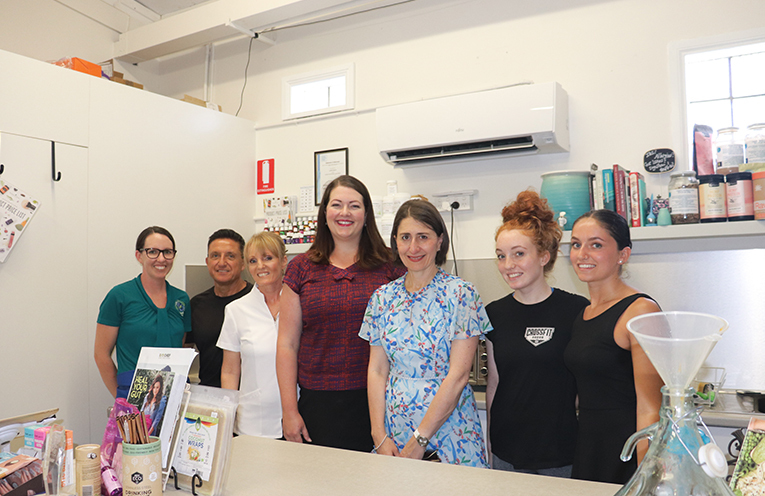 The OPAAT Health Team with Premier Gladys Berejiklian and Liberal Candidate Jaimie Abbott.. Photo by Marian Sampson. 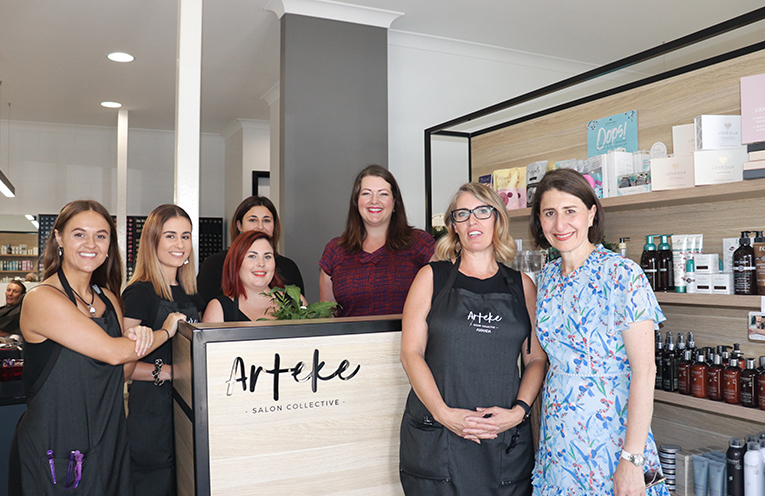 Amanda Boone of Arteke Salon Collective with Premier Gladys Berejiklian and Liberal Candidate Jaimie Abbott. Photo by Marian Sampson. Amanda Boone of Arteke Salon Collective with the Premier Gladys Berejiklian and Liberal Candidate Jaimie Abbott. Photo by Marian Sampson. 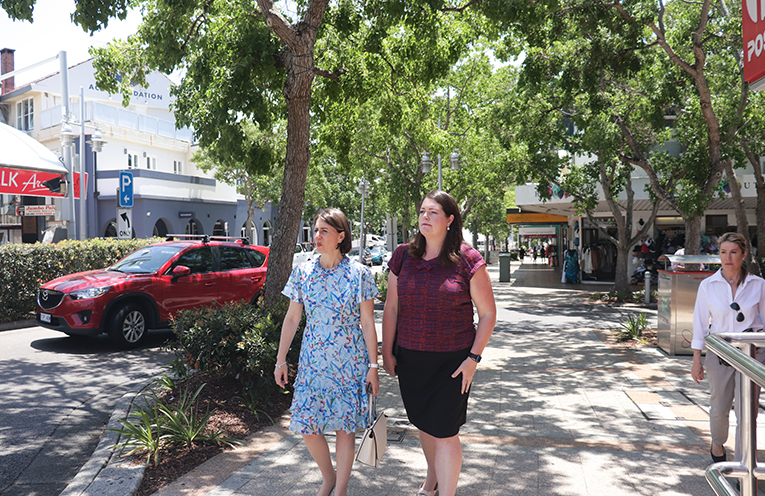 The Gladys Berejiklian and Liberal Candidate Jaimie Abbott walking through Nelson Bay CBD. Photo by Marian Sampson.